TheRedWaxPolice (TheRedWaxPolice) awarded T63743: Show gizmo while transforming a Love token. TheRedWaxPolice (TheRedWaxPolice) added a comment to T63743: Show gizmo while transforming. Wonderful. I miss that functionality from other packages. TheRedWaxPolice (TheRedWaxPolice) added a comment to D4526: Edit Mode: Rework display to differentiate selection modes. I noticed this problem too. Is there a way to disable in the theme that "edge fade/dim" effect that happens in vertex and faces mode? Imo, the difference in color/saturation in faces mode is more than enough to indicate that I'm in faces mode, the edges don't need to fade. It's really really hard to work without seeing clearly the edges. TheRedWaxPolice (TheRedWaxPolice) added a comment to T63518: Per viewport transform gizmo settings for select tools, remove transform tool. Little issue: Widget tooltip shows briefly when tweaking using the Select tool + transform gizmo enabled. It seems like the default keymap needs adjustments. TheRedWaxPolice (TheRedWaxPolice) added a comment to T63466: Blender se Bloquea cuando creo un nuevo material de grease pencil. TheRedWaxPolice (TheRedWaxPolice) added a comment to T63331: curve stroke method in sculpting cant draw curve. Will the shortcuts of the sculpting mode be changed to be more "compatible", or at least more "zbrush like"? TheRedWaxPolice (TheRedWaxPolice) added a comment to T63263: Box selecting ".." in the file browser makes "Parent Directory" the default action..
TheRedWaxPolice (TheRedWaxPolice) added a comment to T62906: Blender 2.8. Bevel in edit mode don't work properly if before you had scaled object. TheRedWaxPolice (TheRedWaxPolice) added a comment to D4529: Brush Tool Properties re-org. I agree with you guys, those changes makes no sense. What's the point of making things harder and counter-intuitive? I don't understand. TheRedWaxPolice (TheRedWaxPolice) added a comment to T62761: Cut link in the Shader Editor does not work. Node wrangler conflicts? See here. TheRedWaxPolice (TheRedWaxPolice) added a comment to rB378baee4986e: Dam brush: Initial implementation. Hi... I'm not sure, but if this brush is inspired by the zbrush's Dam_Standard, maybe it would be better to change the name of it to something else? Because that "Dam" part is actually part of the name of man that created it (Damien Canderle). TheRedWaxPolice (TheRedWaxPolice) awarded rBe2f23d91b989: OpenVDB Voxel remesher: Initial implementation a Love token. TheRedWaxPolice (TheRedWaxPolice) awarded rBb342c293a93f: Grab Brush: Use smooth curve deformation a Love token. TheRedWaxPolice (TheRedWaxPolice) awarded rB91d16ceb56aa: View Navigation: 2D viewport panning a Like token. TheRedWaxPolice (TheRedWaxPolice) awarded rBd55ea7bf8115: New sculpt brush cursor with normal radius a Love token. TheRedWaxPolice (TheRedWaxPolice) added a comment to T55162: Blender 2.8 Blender Keymap changes. Hi. 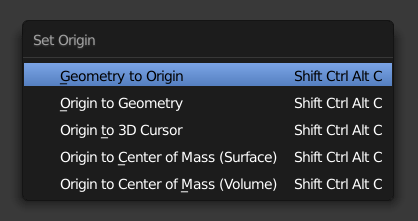 Will the "Set Origin" menu return in Blender 2.8? It used to be Shift + Ctrl + Alt + C in 2.7x, and now it's gone in 2.8. TheRedWaxPolice (TheRedWaxPolice) awarded D3203: Baking system overhaul: Move baking settings from render settings into BakePasses a Love token. TheRedWaxPolice (TheRedWaxPolice) added a comment to T61724: uv export absent. TheRedWaxPolice (TheRedWaxPolice) created T61304: Crash when opening the 2D Animation workspace. TheRedWaxPolice (TheRedWaxPolice) awarded T61209: Always write unused IDs on save a Like token. TheRedWaxPolice (TheRedWaxPolice) awarded D4304: Compositor: Added denoising node a Like token. TheRedWaxPolice (TheRedWaxPolice) added a comment to T60908: Workbench Render Crash in Default Cube Scene. TheRedWaxPolice (TheRedWaxPolice) awarded rBb640fd829e3a: Add miter pattern options. a Love token. TheRedWaxPolice (TheRedWaxPolice) awarded T57936: Performance regressions a Love token. TheRedWaxPolice (TheRedWaxPolice) added a comment to T60398: Selection Tools: Select via Origin or Mesh. Yes. Those options would come in handy when selecting components in edit mode as well. TheRedWaxPolice (TheRedWaxPolice) added a comment to T60299: Ruler & Protractor does not exclude a measure. TheRedWaxPolice (TheRedWaxPolice) added a comment to T60224: Blender 2.80 preferences change. TheRedWaxPolice (TheRedWaxPolice) added a comment to T60139: Can't select vertex when there are doubles. Hmm, the vertex is actually selected . But the issue is that we don't have visual feedback (the vertex turns black and the selection tools lack the gizmos, so no way to know). But if you switch temporary to the move tool you'll see the gizmo there. TheRedWaxPolice (TheRedWaxPolice) added a comment to T59642: Deleting any object in Object Mode Will Cause Blender to Crash. This issue seems fixed already. TheRedWaxPolice (TheRedWaxPolice) created T59528: Crash when deleting something. TheRedWaxPolice (TheRedWaxPolice) added a comment to T59513: win32: Save/Load Window State!. This has been like this since forever.. The only way I could make it work is to save the startup file (File -> Save Startup File) with the window maximized. TheRedWaxPolice (TheRedWaxPolice) awarded D4071: New Drag & Drop System [WIP] a Love token. TheRedWaxPolice (TheRedWaxPolice) awarded rB929ad440d758: Fix T57086: Offset Even option is unclickable a Like token. TheRedWaxPolice (TheRedWaxPolice) added a comment to T59084: Measure Tool does not DELETE in 2.8. I'm afraid it's not a bug. It seems like clicking in one of the ends is the way to delete it. William Reynish (billreynish) awarded T57086: Extrude along normals, Shrink/fatten etc tools issue (Offset Even option is unclickable) a Cup of Joe token. TheRedWaxPolice (TheRedWaxPolice) added a comment to T58902: "Texture Paint" Workspace causes Traceback Error Popup. TheRedWaxPolice (TheRedWaxPolice) awarded D4021: Setting for the polybuild tool to automatically create quads a Love token. TheRedWaxPolice (TheRedWaxPolice) added a comment to T58530: 2.8: Jumping out of edit-mode by clicking on other object or collection doesn't work. TheRedWaxPolice (TheRedWaxPolice) awarded rBedbf15d3c044: Defaults: left click select is now the default. a Love token. TheRedWaxPolice (TheRedWaxPolice) added a comment to T58103: Crash when going from edit to sculpt mode while having vertices selected..
TheRedWaxPolice (TheRedWaxPolice) added a comment to T58012: crash when clicking on a object that's duplicate has been deleted.. Seems to be fixed already. Download the latest build. TheRedWaxPolice (TheRedWaxPolice) added a comment to T58016: Crash - selecting an object after hiding. This is probably related to this previous bug T58008 but it was fixed already. Download the latest build and try again. TheRedWaxPolice (TheRedWaxPolice) created T58008: Crash after deleting something on the scene and then clicking on the viewport. TheRedWaxPolice (TheRedWaxPolice) added a comment to T57819: Torus. TheRedWaxPolice (TheRedWaxPolice) created T57776: Error when adding a Torus to the scene. 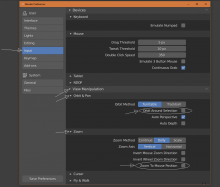 TheRedWaxPolice (TheRedWaxPolice) added a comment to T57754: Sculpt Mode Simplify Tool. TheRedWaxPolice (TheRedWaxPolice) added a comment to T57723: Add all Material options to Material Editor. And what about the preview panel? It would be handy to have it there too. TheRedWaxPolice (TheRedWaxPolice) awarded T57727: Make the “redo” panel also appear in the tool settings tab a Love token. TheRedWaxPolice (TheRedWaxPolice) awarded T57688: Remember the last display mode in File Browser. a Like token. TheRedWaxPolice (TheRedWaxPolice) awarded D3594: New sculpting brush cursor a Like token. Why the ALT key is not used for subtract in sculpt mode, instead of CTRL? 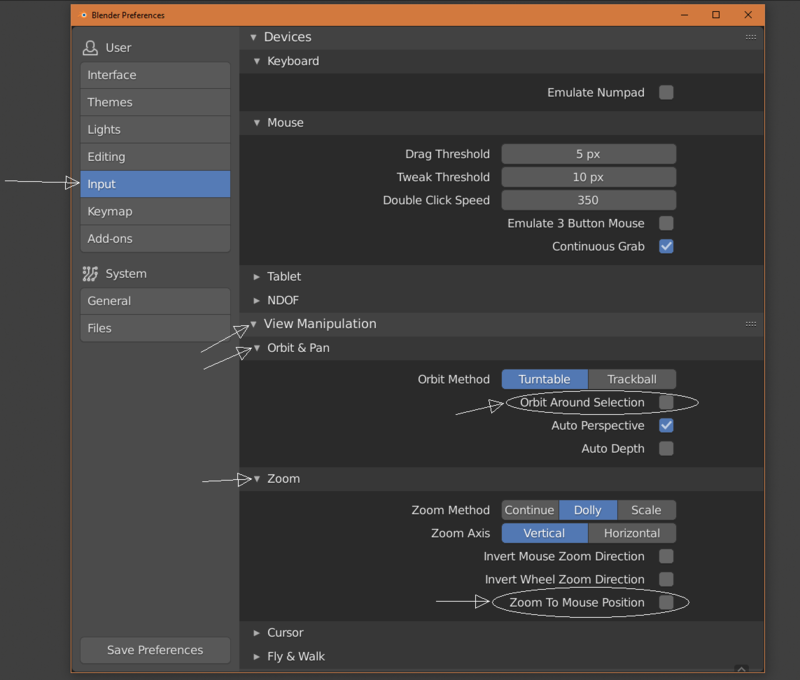 It would be more in line with how generally the hotkeys work in Blender (A/ALT+A, H/ALT+H etc), and also would be more compatible with other sculpting apps like ZBrush etc..
TheRedWaxPolice (TheRedWaxPolice) awarded D3811: Outliner: only drag element under mouse if it was not selected before a Love token. TheRedWaxPolice (TheRedWaxPolice) added a comment to T54943: Blender 2.8 Defaults. TheRedWaxPolice (TheRedWaxPolice) added a comment to T55036: Tool System Todo. Hi @Campbell Barton (campbellbarton) thanks for the tip, I totally missed that option. Another thing, the true power of the Fill option is when you press "G" after you started using the tool, as it allows you to slide the edges. So if there was an option to initiate this tool in this mode already (without the need to press G) it would help a lot. Also an option to generate N-gons when sliding the edges would make this tool even more powerful. Any plans on making the "Rip Vertices and Fill (Alt + V)" tool as an active tool available in the toolbar? This is a really powerful modeling tool, it would great to have it available there. TheRedWaxPolice (TheRedWaxPolice) created T57086: Extrude along normals, Shrink/fatten etc tools issue (Offset Even option is unclickable). TheRedWaxPolice (TheRedWaxPolice) added a comment to T56648: Blender 2.8: Naming Conventions. Hi. Just a quick suggestion. For selection tools, "Rectangle Select" is correct, but when it comes to Render/viewport visibility, the most common used name is "Region". TheRedWaxPolice (TheRedWaxPolice) added a comment to T56649: Proposal: Blender 2.8: Wireframe, Select Through & X-Ray. Could this outline indicating the active mode in the pie menu be a little thicker for easy viewing? I just noticed that the color of this outline is controled by the inner selected color option of the pie menu in the theme settings, but yeah, it's too thin. But if there was a chance to have that option even for just the active tools, that would still be really great. I don't know that this approach really applies to blender, though. 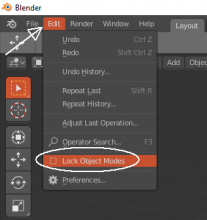 In Blender, selection is not a tool nor is it part of the function of other tools. It is it's own separate part of the process. 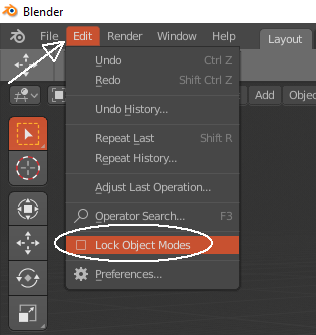 All of the tools of Blender require you to make a selection first and then perform the operation, unlike other programs that allow you to just click and drag on an unselected face to extrude it (for instance). In some 3D softwares, the Wireframe mode usually has two options (toggle), Lines and Hidden Lines, and those options indeed affect the selections. But seriously, copying other software does not seem to be a good idea, here. TheRedWaxPolice (TheRedWaxPolice) added a comment to T56744: Proposal: Improving Brush Workflow in Blender. This proposal sounds more like a Brush/Presets relationship than Tool/Brushes...?? TheRedWaxPolice (TheRedWaxPolice) awarded T56702: Blender 2.8: Left Click Select a Love token. TheRedWaxPolice (TheRedWaxPolice) added a comment to T56702: Blender 2.8: Left Click Select. TheRedWaxPolice (TheRedWaxPolice) awarded T56571: Tools: Per-tool Todo List a Love token. Julian Perez (julperado) awarded T56487: Proposal: Invert Greasy Pencil's layer stacking order a Love token. xrg (xrg) awarded T56487: Proposal: Invert Greasy Pencil's layer stacking order a Love token. TheRedWaxPolice (TheRedWaxPolice) created T56489: Unable to use the viewport navigation gizmo when using Grease Pencil in draw mode. TheRedWaxPolice (TheRedWaxPolice) added a comment to T56487: Proposal: Invert Greasy Pencil's layer stacking order. ok, so we close this task because this is not the best place to discuss this topic. Anyway, I'm going to discuss internally with all members of GP team about this request. TheRedWaxPolice (TheRedWaxPolice) triaged T56487: Proposal: Invert Greasy Pencil's layer stacking order as Normal priority. TheRedWaxPolice (TheRedWaxPolice) awarded T56463: UV Image Editor a Love token. There will be Ctrl+A for select all? TheRedWaxPolice (TheRedWaxPolice) edited projects for T55860: Crash when adding keyframe + driver + click on the timeline, added: BF Blender: 2.8; removed BF Blender. TheRedWaxPolice (TheRedWaxPolice) created T55860: Crash when adding keyframe + driver + click on the timeline. TheRedWaxPolice (TheRedWaxPolice) added a comment to T55447: Inset Faces & Bevel from toolbar not working when Blender is set to left click select. select with leftmouse while also using a tool with leftmouse]. TheRedWaxPolice (TheRedWaxPolice) added a comment to T55386: 2.8 UI Tools: Top Bar, Tool Properties & Toolbar Update. The Tool Properties as the left-most tab in the Properties Editor is a very wise move. Thanks devs. Not sure it fits the defaults settings, but could it be added an option to keep duplicate windows on top? Since, now, the render is in a new window, it could be useful to keep it visible with an option in the preferences. TheRedWaxPolice (TheRedWaxPolice) added a comment to T55043: Tool Settings Editor. I have to say that this is one of the proposals I'm quite excited about. It has the potential to be the heart of all settings and properties inside blender. But I'm wondering how deep it will be. It's only for tools and addons settings? Since it's meant to be context-sensitive, what will it display if I select a lamp, camera or an object in the scene? It would be great if it could also show the properties of everything else. It would eliminate a lot of back and forth between the tabs of the properties editor, in fact there would be no need for separate tabs for lamp, camera etc... Lots of cleanup, organization and simplification opportunities right here. Anyways, it will be a great addition either way, even if it's only for tool settings. I don't know if you need info to fill those fields with the question marks (??? ), so in Cinema 4D the loop select and deselect are the same as Maya. Double-click edge to loop select, and click in empty space to deselect. In general I found pie menus slower to work than the regular menus, due to the extra precision to click (cuz the circular nature of it), and the usual nested submenus. I'd prefer to switch tools using the regular context menus. I can't seem to find a proposal for RMB context menus. It's pretty standard on most 3D apps to right click to open context-sensitive menus, depending on where you click, what mode you're in, what you have selected etc. For example, if I'm in edit mode with a face selected, the RMB would bring me the mesh tools menu for faces, same for vertices/edges etc. Same behavior when in other modes like object/sculpt etc too. I think it would be a great addition to this list. Besides, it's very intuitive imo.